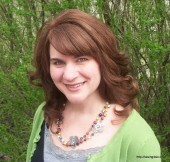 Just in case you’re new around here or have forgotten, My Better Half is a GENIUS! He’s so super smart and incredibly talented too. Because of this, I am SPOILED! I have the rare privilege of being able to find a photo on the internet or in a magazine of pretty much any project. He thinks it through for a little while and then starts working to create it for me. YEP, spoiled! 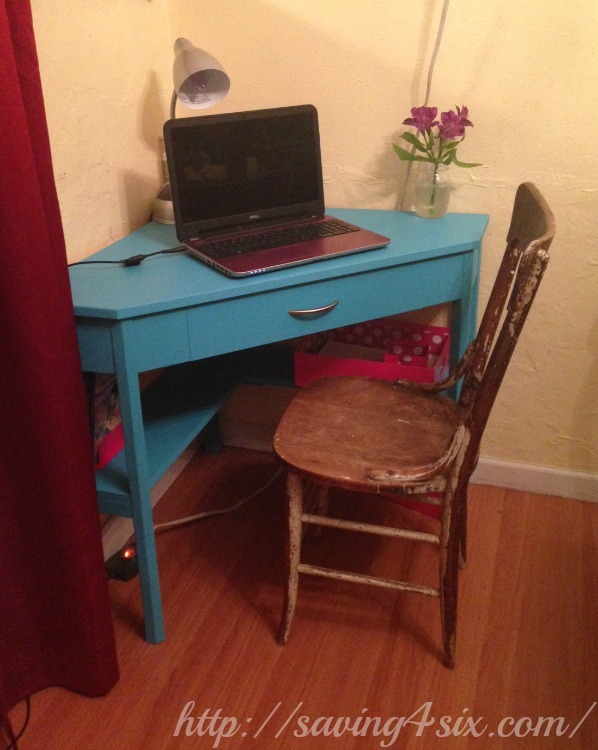 This past Summer, as I was preparing for my two oldest to begin college and my third-born to head off to a brick and mortar school, I decided that My Princess needed a desk near mine so she would do her school near me instead of alone in her room…It was a good decision. So, I came across this desk on Pinterest and since I didn’t want to pay an arm and a leg and because, well you know, I’m spoiled… I printed out a picture, showed it to my man, and before long, he was hard at work. My Better Half is not only smart and talented, he is also amazingly thrifty. 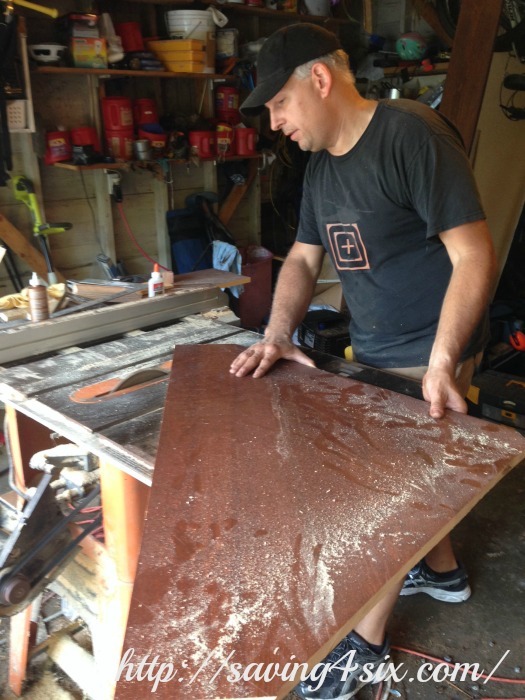 He is willing to take apart free furniture that people are getting rid of, using recycled wood for his projects instead of going to the stuff depot to buy new lumber. Yep, he’s a keeper! For this desk, he used wood from some old book shelves. 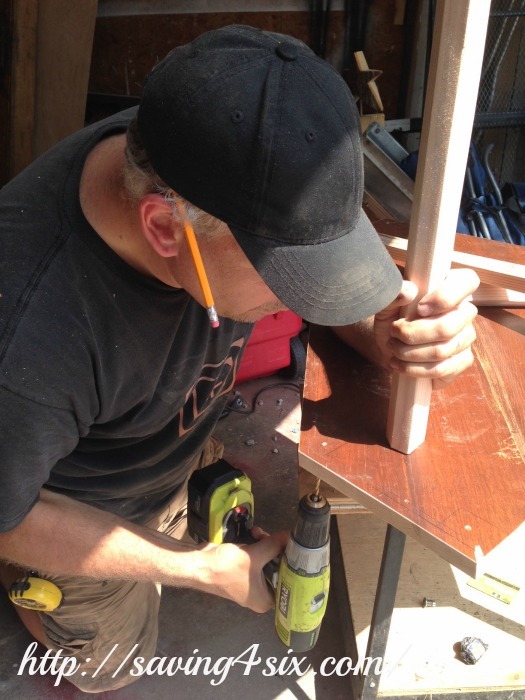 He cut them to size and glued them together to make the top. He filled in the cracks with putty so it looks like one big solid piece. 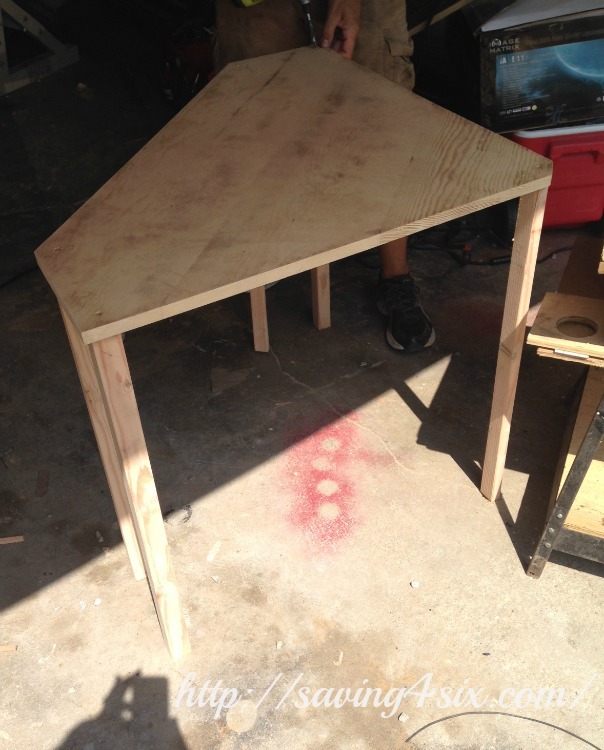 The legs of the desk were made with a 2×4 that he cut down. We’ve always got 2x4s left over from one project or another. 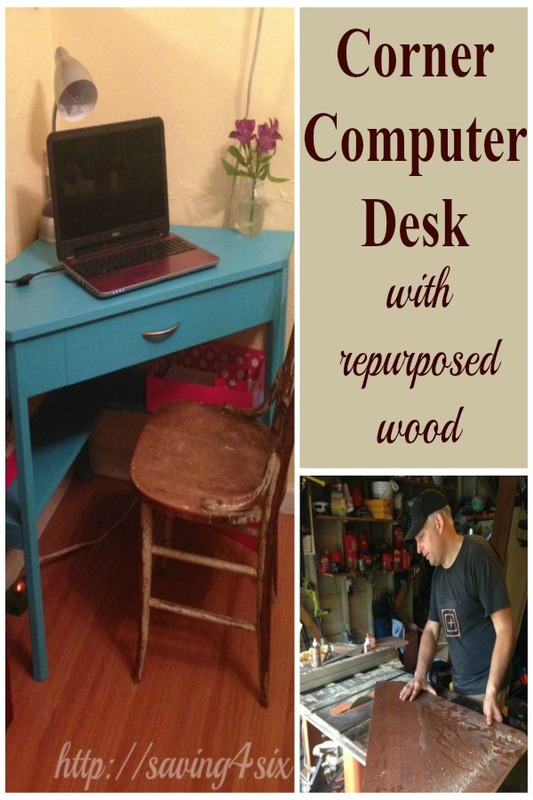 He repurposed and cut down an old drawer to fit in the desk as well. I forgot to snap a picture of that but I’m sure you get the idea. My Princess picked out the paint. It’s so bright and fresh and adds such cheer to that little corner. We’ve been busy with school for a couple months now and I love having her right near my closet office. 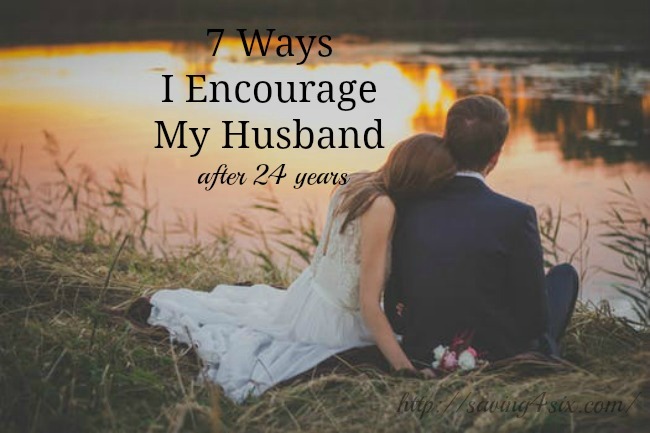 So, I know this post has been much about My Better Half but there are just some days that I realize how good I have it and need to give him some much needed credit. He is very talented and so I’m VERY blessed.